To maintain public safety while seeking justice in every case, and to enhance the legacy of the Boulder District Attorney’s Office as a leader in public safety, progressive prosecution, and criminal justice reform. 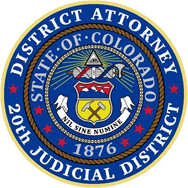 The Office of the District Attorney has jurisdiction, or authority, over violations of state criminal laws and is responsible for upholding the Colorado and United States Constitutions. 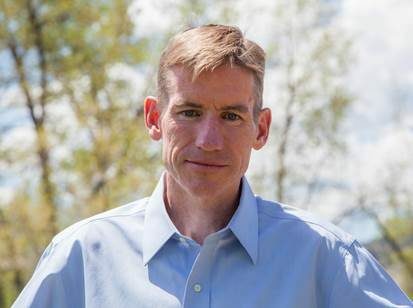 The District Attorney serves an Executive Branch function, which means it is responsible for enforcing Colorado state criminal laws as created by the Legislature. The District Attorney’s Office does not have jurisdiction over City Code or Ordinance violations or regulatory codes. Interested in being part of the criminal justice reform movement? Check here for information on becoming a volunteer Restorative Justice facilitator with the Boulder County District Attorney’s Office. How does the Adult Criminal Justice System in Colorado Work? The Boulder County DA’s Office has a staff of more than 80, which includes two Assistant DAs, as well as Chief Trial Deputies, Deputy DAs, Victim Advocates, Investigators, and a number of other professional support staff. The office handles more than 2,500 felonies and 15,000 misdemeanor and traffic cases each year. To learn more about the Divisions & Units of the District Attorney’s Office click on the links below.